If you have been following my blog for any amount of time, then you know I have struggled with my weight. As adults, my husband and I are trying to learn what is healthy and what works for us because we never had very good or high quality food as children. It isn't that our parents didn't try their best, they just didn't know better themselves. So trying to re-learn everything about the food pyramid has been difficult because the information that has been on the market can be misleading. My husband has wanted to get on the keto diet train for a while now and I told him if he helps me find recipes, then I am more than willing to try it. 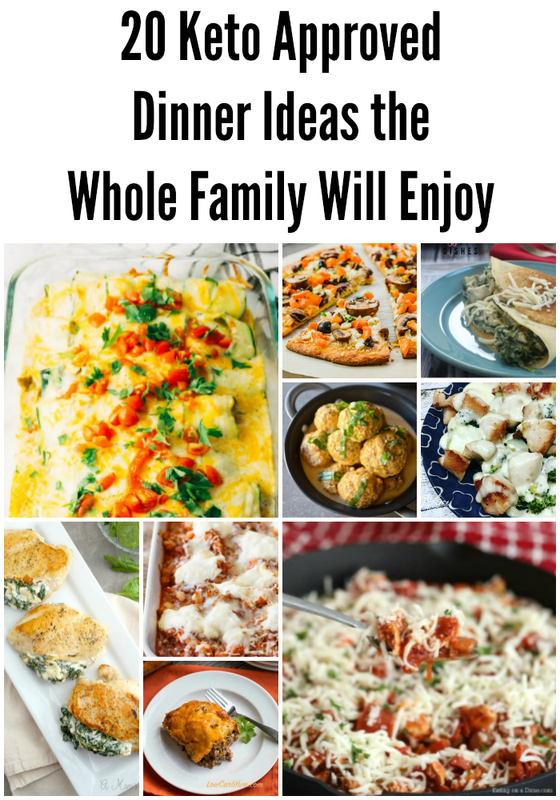 My in-laws have jumped on board and so now we have compiled a list of Keto Approved dinner ideas that the whole family is sure to enjoy! 1. Meatball Casserole Parmesan by Joy Filled Eats - Has hidden zucchini so the kids will never know, takes only a handful of ingredients that you probably already have on hand, and it makes a great freezer meal! 2. Philly Cheesesteak Meatloaf Recipe by Mama's Geeky - "I love a good Philly Cheesesteak, but with keto and low carb eating, no bread is allowed....Then I realized I could use all my favorite cheesesteak ingredients to make a meatloaf. 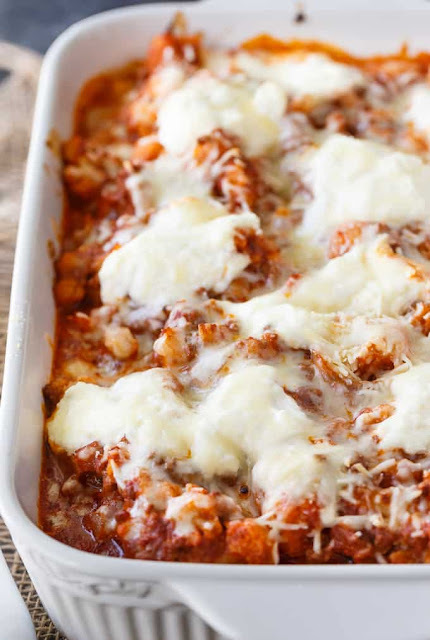 This recipe is really easy, and super yummy! 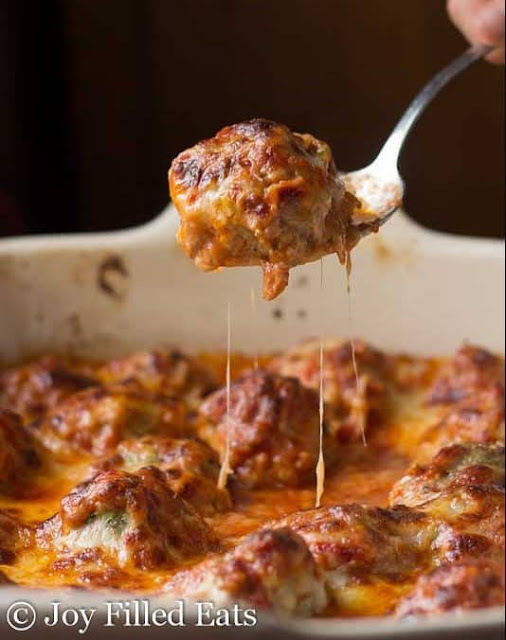 Best of all, it is totally low carb and keto approved!" 3. 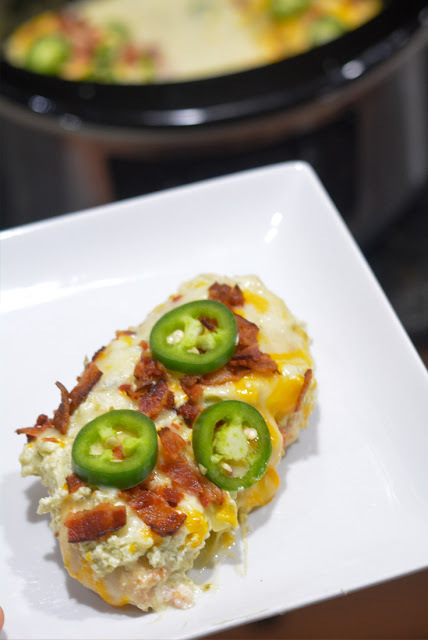 Slow Cooker Jalapeno Popper Chicken by Mommy's Fabulous Finds - "Jalapeno Popper Chicken is loaded with flavors from your favorite appetizer. This low carb and KETO friendly recipe is made with just the right amount of heat and topped with cheddar cheese and bacon." 4. Bacon Wrapped Pork Chops by Dancing Through the Rain - "Are you looking for an easy, savory meal that is packed with flavor for dinner tonight? These Bacon Wrapped Pork Chops are just the thing you need! What's more, they are also gluten-free, Atkins diet friendly, paleo, keto, and high in protein." 5. Keto Cauliflower Ziti by Simply Stacie - "It tastes like lasagna, but without the carbs! Even if you aren’t a big cauliflower fan, you’ll probably still enjoy this recipe. The cauliflower acts as the noodles and takes on the flavors of the sauce." 6. Bacon & Cheese Stuffed Meatloaf by Man Approved Diet - This pleases even the pickiest of eaters. Whether they like meatloaf or not, they are sure to love this one! 7. 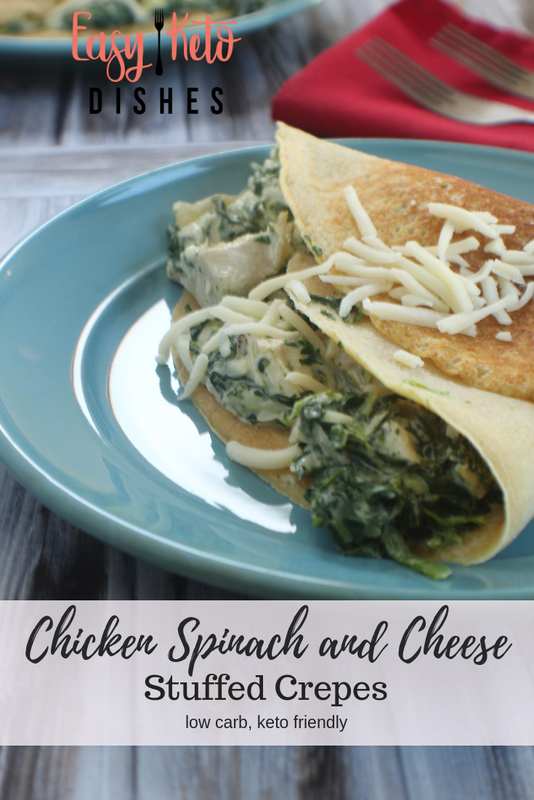 Chicken, Spinach, & Cheese Stuffed Crepes by Easy Keto Dishes - "Tender and creamy with real flavor bursting forth, these chicken, spinach and cheese stuffed crepes will show you that low carb and keto dieting doesn’t HAVE to be boring!" 8. Beef and Bacon Zucchini Boats by Coffee With Us 3 - "Keto Beef and Bacon Zucchini Boats are a delicious way to stay on your low carb diet while using your bounty of zucchini." 9. 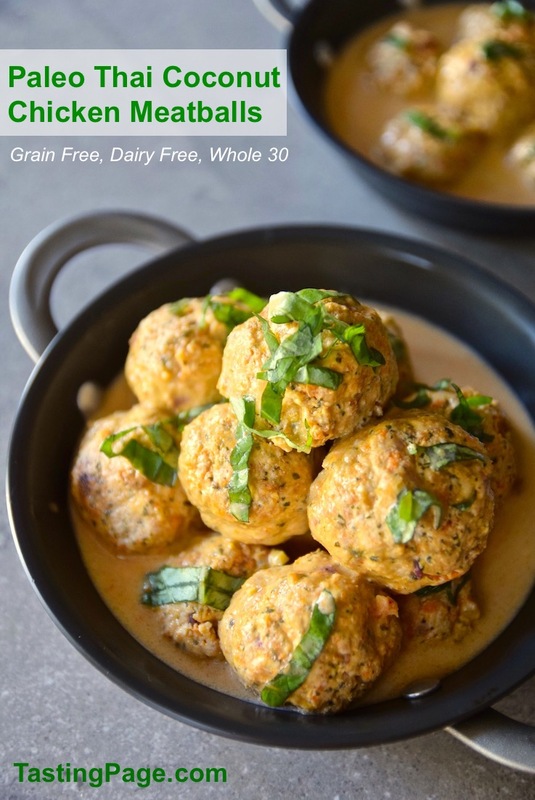 Paleo Thai Coconut Chicken Meatballs by Tasting Page - "Combine bold spices for these flavorful Paleo Thai coconut chicken meatballs. They're gluten free, grain free, dairy free, and Whole 30 friendly." 10. Carnitas Bowl with Cauliflower Rice by Tasty Galaxy - "Looking for low carb and Keto dinner recipes? These amazing Keto Carnitas Bowl With Cauliflower Rice taste so delicious, you won’t even know that they are healthy, too!" 11. Chicken and Broccoli Alfredo by Midget Momma - "I knew my Alfredo sauce is keto friendly, but pasta is not. 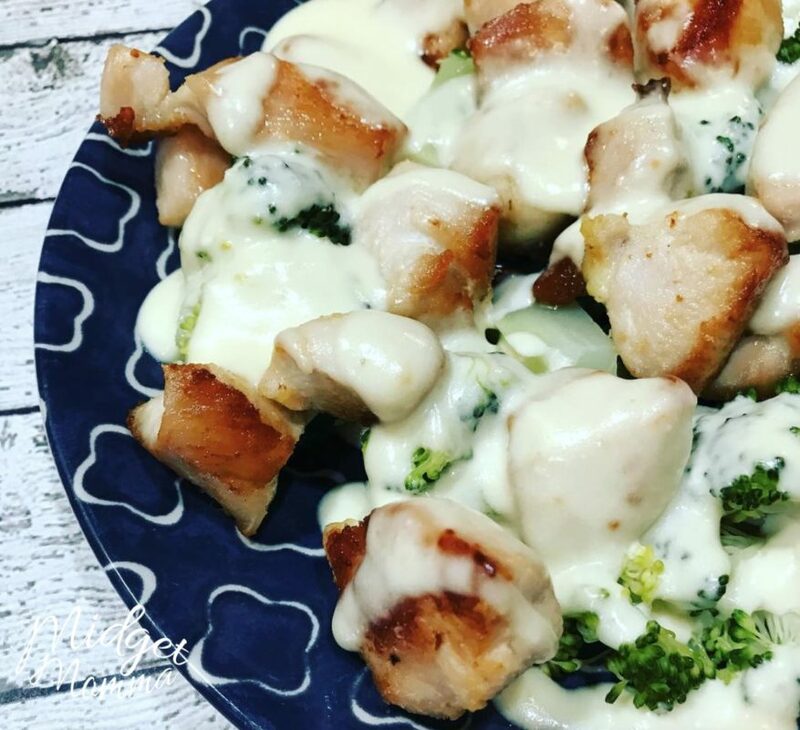 I also was not in the mood at all for Zoodles,...So I came up with this Chicken And Broccoli Alfredo that totally hit the spot." 12. Oven Chicken Fajitas by Meraki Mother - "who doesn’t love Mexican flavors?...chicken drumsticks are a great budget friendly option, so perfect for families with lots of mouths to feed...it all cooks in the one pan so it is an easy clean up, not to mention it cooks in the oven so it is basically hands off." 13. 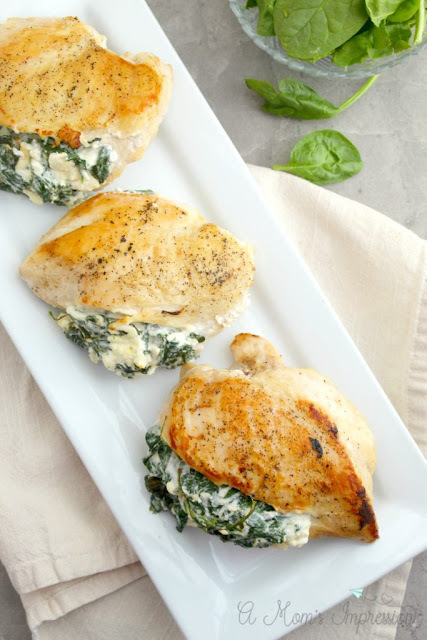 Keto Spinach Stuffed Chicken Breasts with Cheese by A Mom's Impression - "This low-carb chicken recipe is stuffed with delicious spinach, feta, and cream cheeses to make a creamy and moist chicken dish." 14. Easy Keto Chili by Eating On A Dime - "perfect for fall and sure to impress the entire family with very little work. It is hearty and delicious and the best Low Carb Chili recipe." 15. 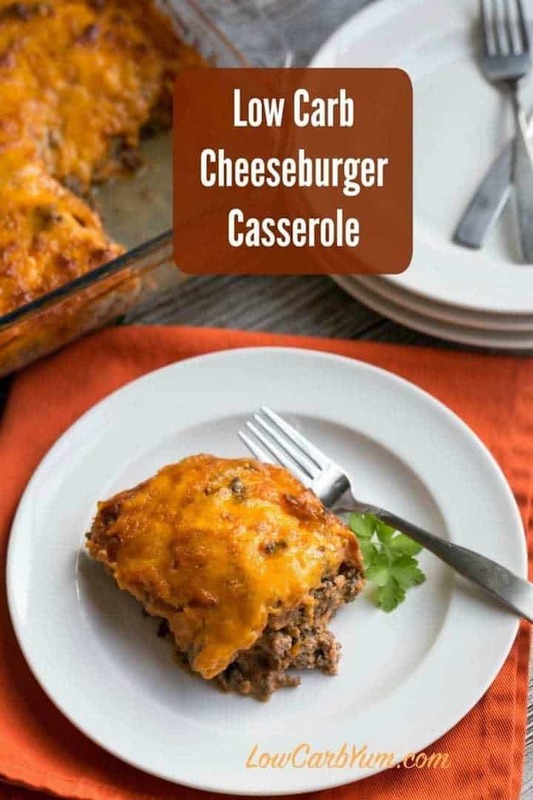 Bacon Cheeseburger Casserole by Low Carb Yum - "Need a simple ground beef casserole to feed your family or friends? They will love this easy low carb bacon cheeseburger casserole." 16. Turkey Taco Lettuce Wraps by Melanie Cooks - "These turkey taco lettuce wraps are the yummiest clean eating recipe ever! Low-carb and gluten-free, they are so crunchy, fresh and delicious!" 17. Keto Pizza Chicken Skillet by Eating On A Dime - "This is a great recipe to try if you are looking for one that does not have cauliflower. The mixture of chicken, veggies and more come together for the best flavor." 18. Cheese Taco Shells by Baking Beauty - "Cheese Taco Shells: Super crunchy taco shells made out of cheese that are keto and gluten free. Makes the most craveable tacos ever!" 19. Green Chile Chicken Enchiladas by Green and Keto - "These keto green chile chicken enchiladas are creamy, cheesy, and so flavorful! 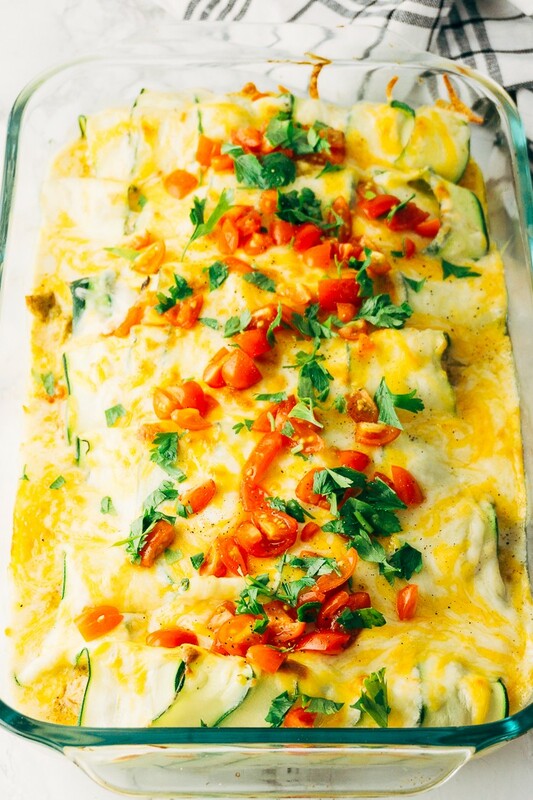 They are made with made with zucchini instead of tortillas, so these keto enchiladas are low-carb and gluten-free." Bonus: These freeze well! 20. 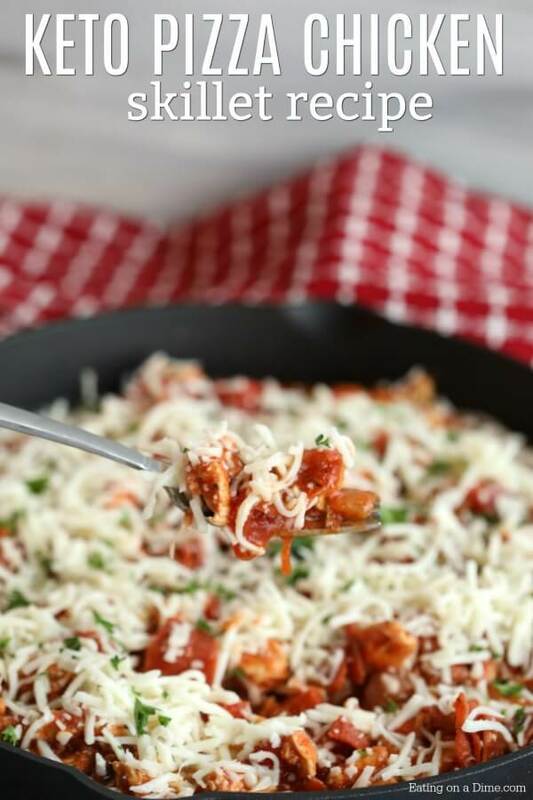 Keto Pizza Recipe by Savory Tooth - "Follow this easy recipe to make a keto pizza crust that’s grain free, using what’s commonly referred to as fathead dough. The pizza is topped with low carb Greek style toppings." Let me know if you try any in the comments below. Please feel free to recommend some of your favorite keto dinner ideas too! These are great ideas. The Bacon & Cheese Stuffed Meatloaf by Man Approved Diet looks AMAZING! These recipes look so good. I've wanted to try cauliflower rice. Yum! All of these recipes sound delicious!! And I wouldn't even know that they were "keto" recipes. Thank you so much for sharing these, I can't wait to make some! These recipes look yummy. I have to watch my carbs so these will be great to try. These all look like they would be really good. The Keto Spinach Stuffed Chicken Breasts with Cheese look awfully good! These all look amazing and I can't wait to try some of them! Thanks for sharing all these wonderful recipes. I am just dipoing my toes in the Keto world and these will be helpful! Bookmarked for sure!!! !